Hair loss (which is also called alopecia) is quite rampant among females these days. Old as well as teenage females face hair loss problem because of several reasons, such as hormonal imbalance, malnutrition, medical and psychological issues (Thyroid gland diseases of an endocrine nature, Gastrointestinal diseases, oncological neoplasms, excessive stress, tension), using low-quality Hair Products, lack of hair care, Genetics, Aging, pollution, etc. If you are not serious about this problem, it leads to partial or complete baldness in short or long term. Are you looking for easy and effective ways to tackle it as soon as possible? Dandruff Stress, malnutrition and hormonal failures can lead to bacterial imbalance on the surface of the scalp. This increases skin flaking and sebum production, which turns into Dandruff. Use Antifungal or antimicrobial shampoo to cure this problem. Consult a pharmacist/ dermatologist if the problem is serious. Weak/dull hair with split ends Too long hair Cut the ends of the hair every six to eight weeks. Talk to your hair-stylist about the optimal length of your hairs. Broken Hair Dehydration of your hairs in hot climate Use moisturizing shampoo and conditioner regularly. A good number of hair care products are available in the market. All of them are manufactured by different brands. So, they don’t suit the needs of all individuals. There are many individuals who try different hair care products irregularly, which damage their hair badly. Don’t do that at all. Just consult your hairdresser, seek his/her permission, and use only those hair care products which helps you to keep your healthy and shiny. Wash your hairs daily. Use a good quality shampoo at least once in a week. After taking the bath, use a towel to dry your hairs. Avoid the use of hair blowers as far as you can. Apply a good-quality hair oil regularly to your hairs and massage it gently. When you move out of your house/office, cover your head with a cap. It will protect the hair from extensive heat, dust, and other harmful particles. If your hairs have turned white then you should use Hair Color Products. Excess use of those products can cause a significant damage to your hair in the long run and you can face health problems too. 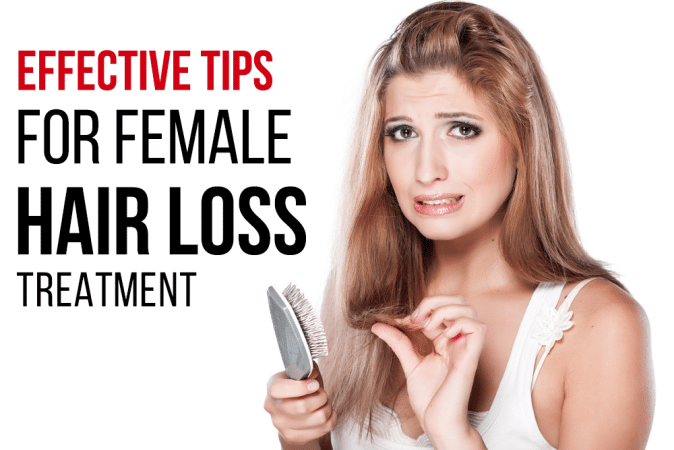 On several occasions, despite taking several precautions and using hair care products, you miserably fail to check the female hair loss problem. In some cases, hair falling is so fast that you reach partial or full baldness in a short time span. This is a very disappointing situation for females as it disfigures their overall look. You can go for hair transplantation without having any second thought. In this process, surgeons and expert physicians plant fresh hairs to the blank area of your hairs and help you have a smart and appealing look. Hair Transplant Surgery should be done only by expert doctors to avoid medial hazards. 9 out of 10 females are facing different hair loss problems. By following the above-mentioned tips, they can easily deal with it and maintain the wellbeing of their hairs. Sheetal Goswami is Working as Blogger for Tricity Institute Of Plastic Surgery. A famous Institute for plastic surgery and hair transplant in Chandigarh. She has been blogging for several years about the fusion of Medical Science. She is a voracious follower of medical achievements and loves to share all about it.